ELIGIBLE FOR FREE SHIPPING >> Use code FREESHIPPING at checkout! 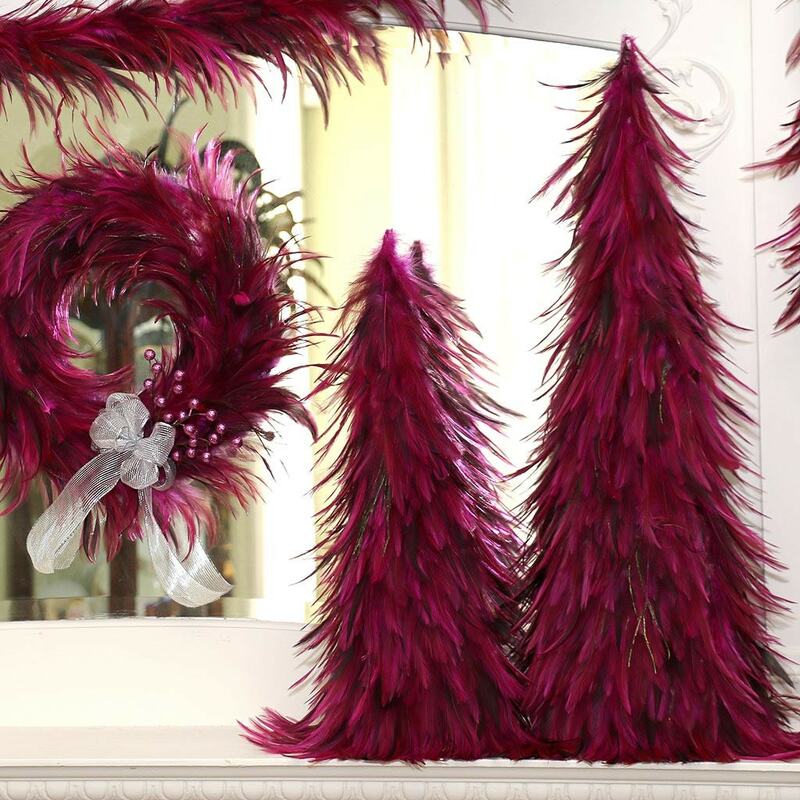 EACH SOLD SEPARATELY SUGGESTED USES: Feather Christmas Trees make great home, office or special event decorations. They also look great for Holiday window displays. 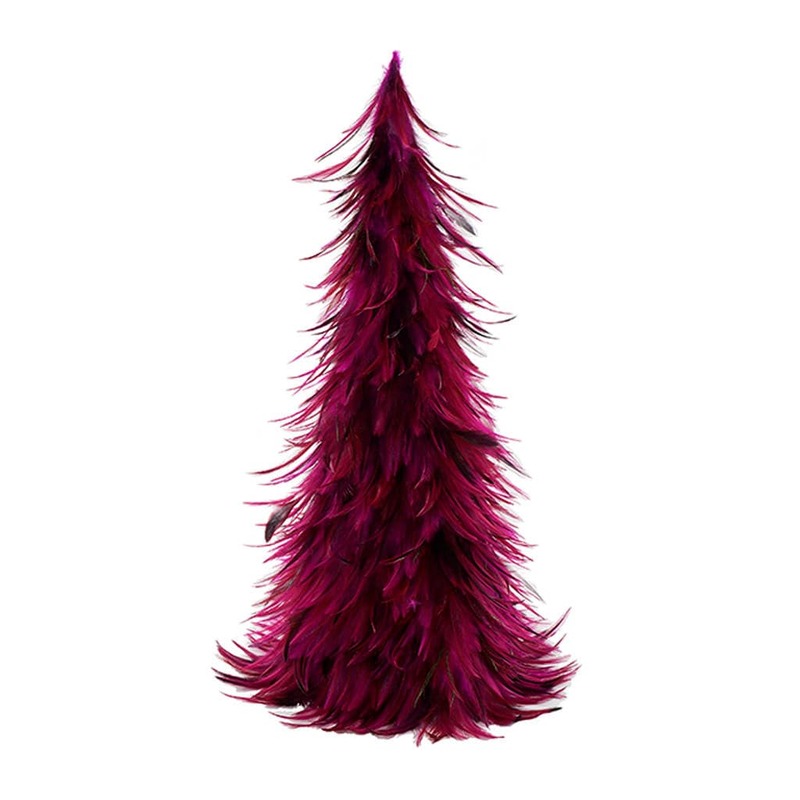 This 24" elegant Feather Christmas Tree is made with Dyed Hackle Feathers mixed with strands of Natural Iridescent Peacock Flue throughout the tree. 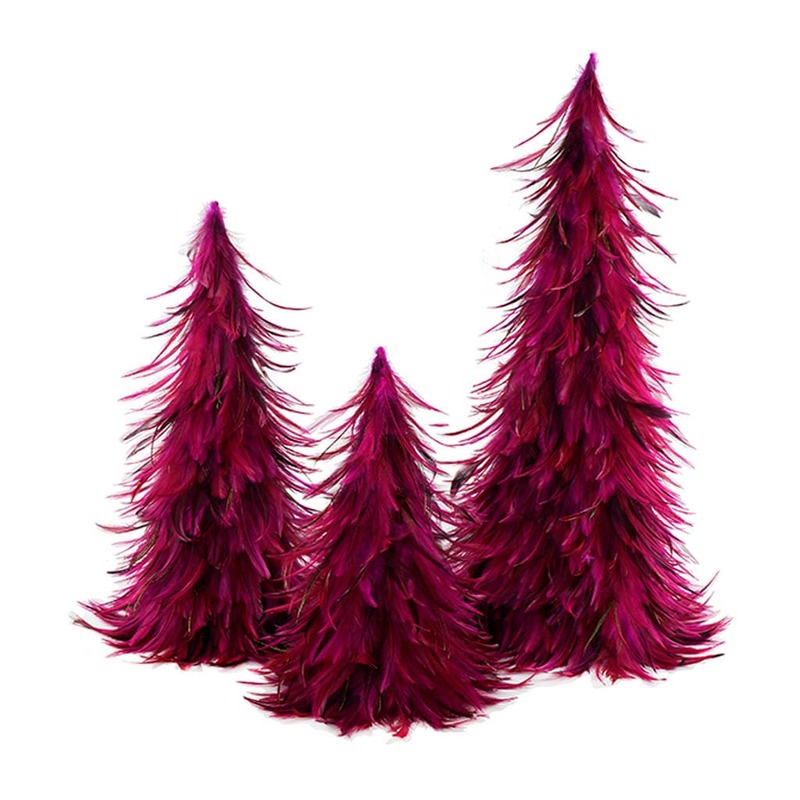 This feather tree is available in two stylish designer colors ; Emerald Green and Shocking Pink! 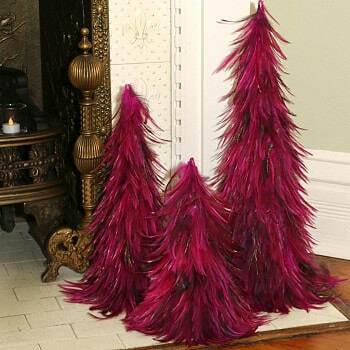 This line of Feather Christmas trees are designed as slip covers lined with thick felt for easy shipping, set up and storage. 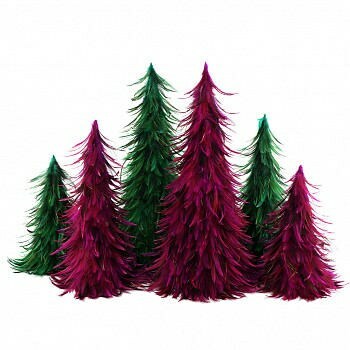 Each tree comes packaged with a reusable, easy to assemble cardboard pop out to give the feather tree shape in order to stand alone on a flat surface. The base of this feather tree is approximately 12-13 inches wide when fully expanded.